A new book on eating disorder treatment entitled When Food is Family will be published later this year. The book is written by a therapist with over 25 years of experience treating eating disorders who is also the founder and director of an eating disorder clinic. The premise of When Food is Family is that early childhood relationships play a significant role in the development of an eating disorder. The book is based on attachment theory, which posits that “emotional support, understanding, empathy, and acceptance during a child’s development are the foundation of self-esteem and self-worth throughout life.” The author asserts that children develop eating disorders in part because they do not receive the emotional support and nurturing they need from their families, so they develop a “relationship with food” as a substitute for the intimate familial relationships they crave. My primary concern with this book is that it seems to set our field back about 20 years. 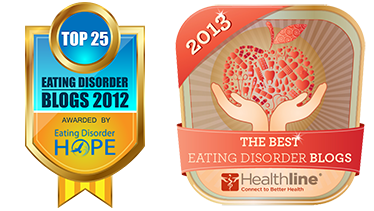 There is no reliable scientific evidence to support the theory that disrupted attachments or dysfunctional family relationships lead to eating disorders. Nor is there any reliable evidence that treatment approaches predicated on these attachment theories help patients achieve recovery. I absolutely agree that “emotional support, understanding, empathy, and acceptance during a child’s development are the foundation of self-esteem and self-worth throughout life.” Of course childhood environment is important in the development of self-esteem and emotional well-being. Of course “relationship breakdowns” within a family cause emotional suffering for everyone. Disrupted attachments are bad. Healthy attachments are good. 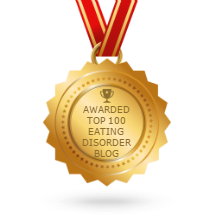 But I am not aware of any evidence that disrupted attachments can lead to eating disorders. The fact that some eating disorder patients come from dysfunctional families does not indicate that said family dysfunction caused their eating disorder. Correlation does not equal causation. Despite decades of research and millions of dollars spent on cross-sectional and longitudinal studies, researchers have not been able to identify anything that parents do, or don’t do, to cause eating disorders in their children. The theories espoused by this book are not only unfounded and incongruent with our modern scientific understanding of eating disorders, but also potentially harmful to young patients and their families who are seeking treatment for these life-threatening illnesses. When parents have a child with a poorly-understood, stigmatized, confusing, life-threatening illness such as anorexia nervosa or bulimia nervosa, they do not need to be told by an expert that family dysfunction is at the root of her illness. The family unit is not well-served when parents are told by an expert that they have failed to bond properly with their children, and this failure to bond has resulted in their child developing a serious illness. Parents with an anorexic or bulimic child do not need to be taught skills to develop healthy attachments with their children. They need well-informed professional support which empowers them to take aggressive action to help restore their child to health. I conceptualize a brain disorder as a disease or disorder that originates in the brain and influences mood, thinking, learning, and/or behavior. By my definition, all disorders listed in the Diagnostic and Statistical Manual of Mental Disorders (DSM-IV) are brain disorders, including autism, ADHD, major depression, bipolar disorder, OCD, anorexia nervosa, bulimia nervosa, reactive attachment disorder, Alzheimers, and schizophrenia. None of the above is true for ANY brain disorder, whether we’re talking about one that is commonly accepted as “biologically based” or not. In fact, I don’t know of any physical disease or medical condition in which any of the above is true. Some people in my field are willing to apply the term “brain disorder” to some illnesses which are widely accepted to have a neurobiological basis (e.g., schizophrenia, autism, Alzheimers) but adamantly resist using this term to describe eating disorders, depression, or anxiety disorders, which they perceive to be something else. The underlying assumptions here, which few people would openly admit, are that some mental disorders are legitimate diseases whereas others are choices or responses to the environment; some mental illnesses are serious and deserve to be treated (and funded by insurance) whereas others are the patient’s or the family’s fault, so treatment is optional. •	They believe that family dynamics or socio-cultural forces are the root cause of mental disorders, and that changing family dynamics or socio-cultural forces will cure or prevent mental disorders. 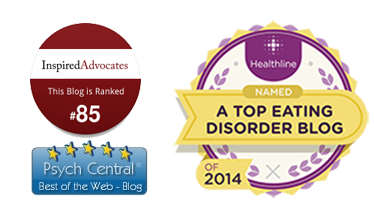 My clinical work is grounded in the knowledge that all mental illnesses are brain disorders. I believe my patients benefit from knowing that they have a neurobiologically-based, genetically inherited illness which they did not choose and their family did not cause. In order to get well, they must have a profound appreciation of their unique vulnerabilities and how to make healthful choices in order to keep themselves well. It is important for me, as a psychologist, to understand how the brain works – the mind-body-behavior connection – and it is important for me to educate my patients and their families about these issues as well. It’s a two-way street – brain function affects thoughts, emotions, and behavior; in turn, psychological and behavioral interventions change brain function. The fact that mental illnesses are brain-based does not necessarily mean that medication is required. Research has shown that, for many brain disorders, certain types of psychotherapy are more effective than medication (e.g., mild or moderate depression, panic disorder, social anxiety disorder, anorexia nervosa). For other brain disorders, a combination of psychotherapy and medication produces better outcomes than either treatment alone (e.g., severe major depression, OCD). Less than half of my current patients are taking any psychotropic medication. Many of my patients recover fully without medication, and those who do need medication can often take fewer medications and/or lower doses once they have had good psychological intervention.